Actors Eddie Redmayne and Benedict Cumberbatch have both released statements honouring the late Stephen Hawking, who died yesterday at seventy-six years old in his Cambridge home. Both actors have starred as the famous theoretical physicist on screen in the past, with Benedict Cumberbatch played Hawking in the BBC Television Film, ‘Hawking’. The film followed the scientist during his early years as a PhD student at Cambridge University, and the early outbreak of his motor neuron disease. It was the first time Stephen Hawking was portrayed on screen, and Benedict Cumberbatch earned a BAFTA TV Award nomination for Best Actor. Eddie Redymayne played the scientist in the critically acclaimed 2014 film ‘The Theory Of Everything’ which follows Hawking’s professional growth and relationship with Jane Beryl Wilde. Eddie’s performance was outstanding and won him the Academy Award for Best Actor for his portrayal of Stephen Hawking, as well as a BAFTA, and various other awards. 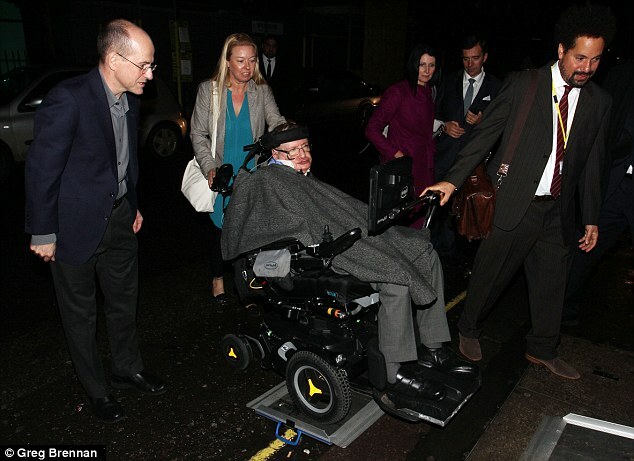 Both Eddie and Benedict met Stephen Hawking during their preparations to play him in their films, and have now paid their respects in response to his passing. Also honouring the late scientist were the cast of The Big Bang Theory, Al Jean (producer and screenwriter for The Simpsons) and George Takei (Star Trek), all of whom Hawking made an appearance with on their shows. The news of Hawking’s death was announced by his children, Lucy, Robert and Tim through a statement. It’s truly sad to lose someone as extraordinary as Stephen Hawking, and he will be missed deeply, but he’ll also be remembered by millions as a truly amazing scientist and a very inspiring human being.